Prints are cool. Linen keeps you cool. It’s a match made in fashion heaven, and MANGO has you covered. The reason linen has withstood the test of time and is still in vogue today? It’s. Just. So. Comfy. In fact, wearing linen keeps you cooler than if you were wearing cotton or silk, and its natural sweat-wicking properties make your sweat dry out much faster. No wonder trendy summer girls are obsessed with linen clothes. Thanks to technology and the fashion industry, the breathable fabric can be dyed, designed, and printed in many different ways. It's cute, comfortable, and easily dressed up or down. Wherever you find yourself this season, MANGO’s got your back with their linen-made summer collection. 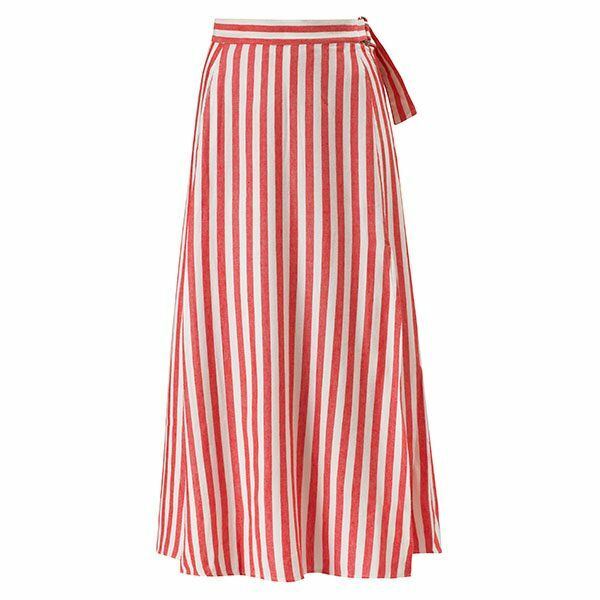 Complement this candy-striped skirt with a ruffled bikini top to create a soft, feminine beach outfit. All you need now is a wide-brimmed straw hat and cat-eye sunnies and you're OOTD-ready. 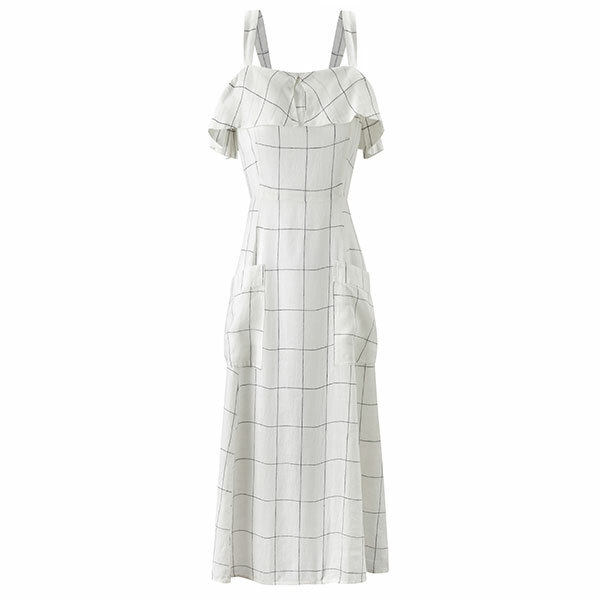 This neutral check-printed dress is fun and flirty with its feminine frills. For a punch of colors, match it with a pair of slip-ons and a red lip! This classy trouser-and-blouse combo allows better movement during your long-hauls. Slip into a pair of espadrilles and be the walking definition of comfort and style. 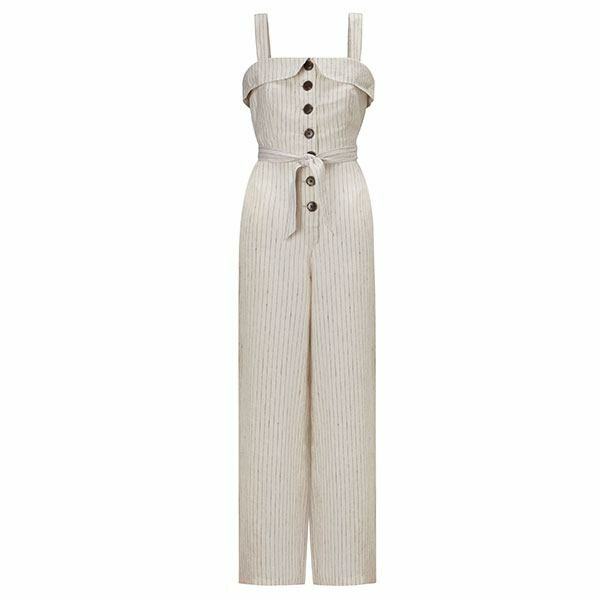 If you find yourself back in the city and want to show off your tan, this khaki jumpsuit is just the piece to wear. Sling on a basket bag and you’ll have that summer hangover look down pat. Back at your office desk? Don’t let the stuffy office environment kill your vibe—linen can be incorporated into workwear, too. 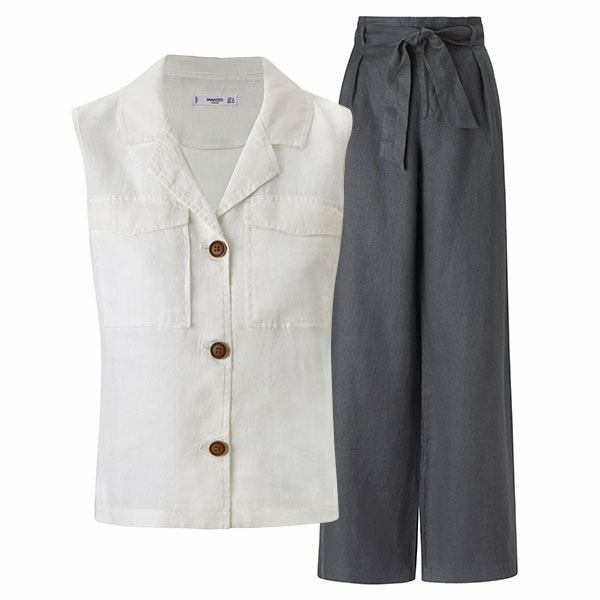 Try this pair of gray wide-legged trousers matched with a crisp white button-down to look professional, comfy, and cute. Check out the MANGO website to view their full Spring-Summer 2018 collection.